You are here: Home / Kids / 5 Reasons Why You’ll Fall in Love w/ the diono Quantum Classic + Giveaway! 5 Reasons Why You’ll Fall in Love w/ the diono Quantum Classic + Giveaway! If you know us, you know that the safety and comfort of our girls have always been a top priority. We are huge fans of diono, they always make products that are durable, reliable, high-quality, and safe. That is why I am excited to share the diono Quantum Classic stroller, an easy folding experience, a “one-step” brake, and a versatile smart seat, that can be used from birth. With it, life is made simple with an easy to switch lie-flat carriage. It later becomes a roomy toddler seat so your little ones can see the world. I really love their contemporary styling, it definitely suits my style. It is available in light grey and dark grey and while it’s simplistic, I adore how fashionable it is. When my girls were young, the seats and stroller designs were much different. I like how fashion forward these are. Not to mention, they really do have aesthetic in mind. Diono married innovative ‘easy feel’ touch points and a multitude of ideas to make you smile. One thing is for sure, the Quantum Classic is designed to be resilient and robust, day in and day out, wherever you may roam. Read on to see a few reasons why you’ll fall in love with the diono Quantum Classic! You can remove some parts to shorten it. That makes rolling city streets or country parks a breeze. You can even turn it into a carriage for the teeny ones and upright for the older ones who want to explore the world. All the same features as Quantum with even more luxury. Leatherette handlebar, bumper bar and accent detailing for the finest touch. Hand selected suiting fabric captures an enduring style. 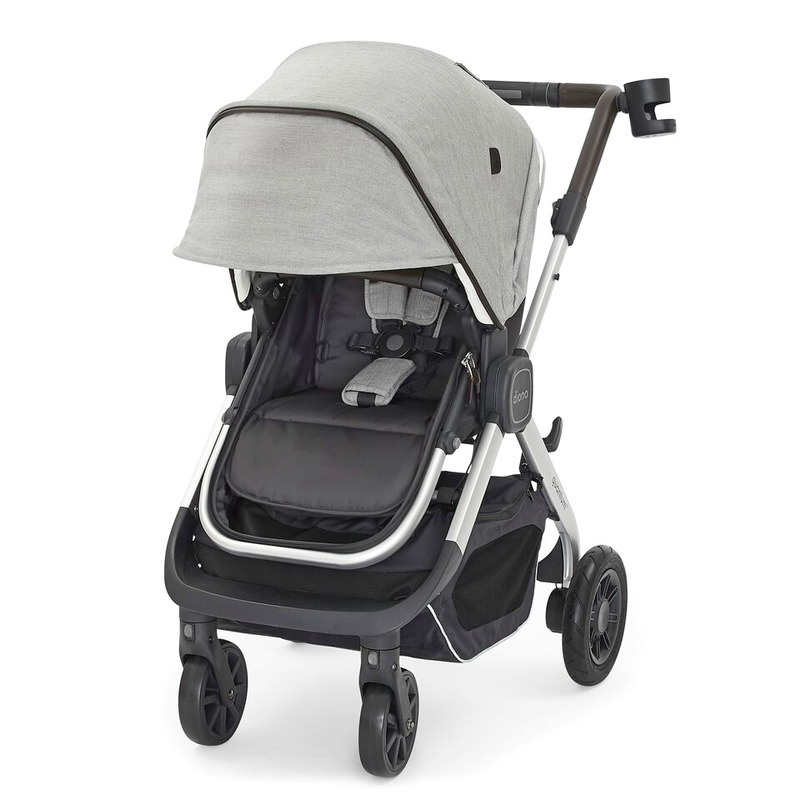 The Quantum Classic stroller is available in Light Grey and Dark Grey and can suit anyone’s style. Your baby will never miss nap time, even when you are on the go. With this lush, super soft bassinet lining and mattress for happy snoozing, you’re set. Whether you are the mall or going off-road at the park, these air-filled all-terrain wheels make for the softest ride. One lucky Whispered Inspirations reader will enter to WIN a diono Quantum Classic stroller, a value of $899.99! This contest is only open to Canada and void where prohibited. Opens on July 27 and closes on August 13. For more information, visit diono.com and check out the diono Quantum Classic stroller for yourself! If you are looking for a great investment that will last your for years to come, this one is it! When it comes to our kids, we really want them to be safe and comfortable. The diono Quantum Classic takes care of both, while making you look good too. We are huge fans of diono, and we have been for a while. We still use their car seat/booster seat combo and love it. I know that this stroller will last just as long! What do you like the most about the diono Quantum Classic stroller? Previous Post: « Why You Need to Get Away to Hockley Valley Resort Mid-Week! I like the shade and versatility of the stroller. I really like that the tires are all terrain! That makes life a WHOLE lot easier! Wow! This looks like the Cadillac of strollers! This would be amazing! Thanks for the detailed review,I do love the comforts it offer babies.I love the compact look. My cousin would love this for her kid. I really love the Cruise SMooth wheels – it would make going anywhere a breeze! My niece who is expecting would love this stroller! I love that it’s comfortable for the baby & a smooth ride! We would love this for our 4 month old! My favourite feature of this Diono Quantum Classic Stroller is the versatile smart seat, that can be used right from birth. I love the versatility of this stroller. I love products that work for a range of ages. I like the super soft bassinet lining and mattress! I love how compact it is!! Our home is smaller and our storage areas are pretty full so this would be great. Thanks! I love how versatile the diono Quantum Classic Stroller is. So many options of comfort for the child. I would love to win this for my best friend and her new little one to use and enjoy. Looks like great quality. My cousin would just love this for her soon to be baby! Thanks! My favorite feature is that You can remove some parts to shorten it. I would love to win this one for a new addition to the family. This would be great for my daughter who is expecting. I love the air-filled all-terrain wheels that would allow me to go almost anywhere I wanted with ease. A very special gal in my life is expecting a baby at the beginning of Sept. This will be a rainbow baby and I would love to surprise and spoil her with the Diono Quantum Classic. I love the bassinet and it’s comfort. I think this stroller is awesome. I love that the wheels on the stroller are all terrain! It really allows you do bring your baby with you ANYWHERE you want to go! I do love the wheels that make for the softest ride. I love the colour choices! To me grey is a classic colour that suits any gender and is easy to keep clean. 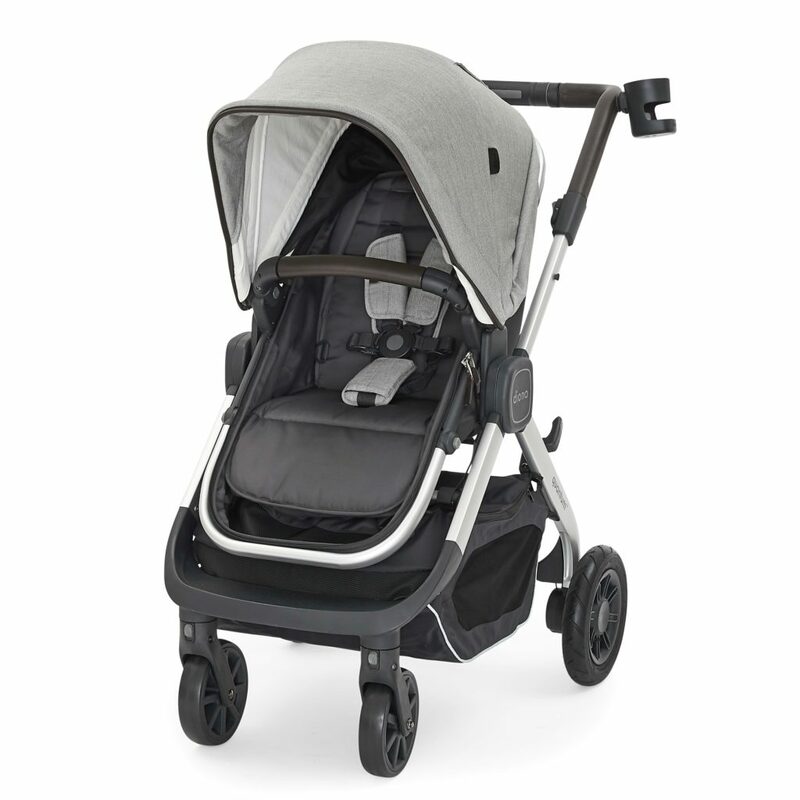 I love how stylish it is, simply a chic stroller that any mom would be proud to own knowing baby is laying in such a comfortable place. The feature of being able to remove pieces to shorten it really is perfect for crowded places like the zoo. I really like that it is versatile to suit any lifestyle and ages of kids that will use it. would so love this for our newborn baby! I like the air-filled all-terrain wheels. A soft, smooth ride is very important, especially when the child is going to have a nap. We would love this Quantum Classic Stroller as our used one needs replacing. I love that the stroller is Versatile! It’s great that you can use it from a new baby to an older one! Look at that basket! It looks like it can hold a lot! I find there’s rarely enough storage space for all the “stuff” baby needs! lol! I love the look of this stroller! My sister in law is having another baby so maybe I would gift this amazing stroller to her. I love how versatile this stroller is. It adds so much to the value when you can use it for all occasions and as your baby grows. I absolutely love the variable seat options e.g. bassinette vs. upright. I know my son would be very happy with it. I love the look of the Quantum Classic – indeed it’s very classy! I love that it’s versatile making it easy to use for both city streets or country parks. I love that the wheels are all terrain! That is very helpful for being able to go ANYWHERE without worry! My friend who is expecting would love this. I love that it can be shortened for when you need to get into tight spaces/cities. I like that the stroller is so compact. My son and his wife. Have been married about a year and are starting to stock up for a future baby. They would love this. I really love that the wheels are meant to be all terrain! My cousin would love this for her new baby boy! Looks stylishy, versatile and functional! I like the versatility of the stroller. I love the style of this stroller! This would be a great stroller for exploring our neighbourhood with baby! The stroller is very stylish. I like the Leatherette handlebar feature – would probably feel nicer than the usual plastic, and won’t break off in little pieces like my foam one. I like that the stroller is meant to be an all terrain – it allows you to really live your life without worrying about it being accessible!! Very stylish stroller would be perfect for my little grandson ! My bestie is pregnant with her first and I would so love to be able to gift her this amazing stroller! 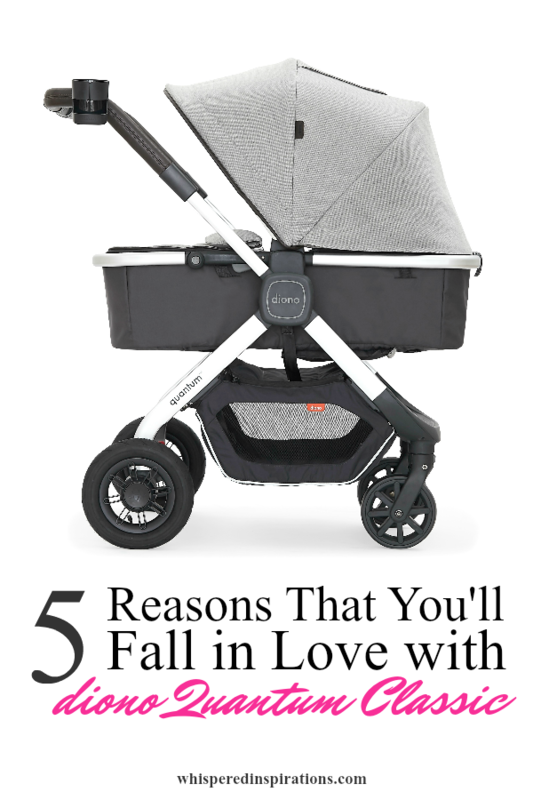 I love Diono carseats, so I’m sure this stroller is just as great! Loving the lines and style of this stroller! I love the all terrain wheels. My godchild would love it. I love that it has a nice big storage basket underneath! I like that the wheels are all terrain! This stroller has some amazing features,a sweet ride for sure! love the air-filled all-terrain wheels make for the softest ride. I love that it is compatible with several car seats – that’s a must for us! This would make an amazing gift for my expecting sister-in-law. I love the air-filled all-terrain wheels – such a smooth ride! It is very luxurious with a bumper bar and accents. love how versatile it is You can remove some parts to shorten it. I really like the lush, super soft bassinet. I love the tires are all terrain we can also use it for beach walking! I would love to win this terrific stroller for my niece, her baby is due in 2 weeks. I like that it can be used right from birth and all the way up to 50 pounds. My cousin would love it. I love the accent detailing – so stylish! Such a gorgeous stroller! Women today have so many more options than I did back in the day! I love that it looks great and the features are awesome ! Perfect for baby , mom and dad ! I like that it’s versatile, good for many ages. I really like the Light Grey and Dark Grey colors that are so stylish. This would be perfect for my daughter! The lush, super soft bassinet lining and mattress sound lovely! I love that this stroller has all-terrain wheels – perfect for the weather where we live. This would be great for my girlfriend who is expecting Sept. I would love to win this for my first cousin to have a baby – she’s due in January! I like that the wheels can go through city streets or country parks. This would be great for my sister in law! I’m sure my godchild would love it. You had me at,super soft bassinet lining ! I really love that this can be used from birth! I like that the basket underneath seems to be a decent size – I love walking everywhere, so being able to fit the necessities underneath is a must for me. WOW this stroller is gorgeous!! Sounds absolutely perfect for my baby girl due in October.. so many great features, love its Versatility!! I would love to win this to surprise my sister. She would love everything about this stroller. She is really active so I know it would get a lot of use.She would love the air-filled all-terrain wheels make for the softest ride Thanks for the chance. I love the dark grey – so pretty! I love the versatility and has all-terrain wheels that this stroller offers. My brother is having a little girl and would love this! I really like that there’s a seat liner – I think that would make cleaning it a breeze! Ive never owned a stylish stroller like this for my other two.. Baby on the way would be set!! It’s luxurious – the Leatherette handlebar, bumper bar and other items sounds lovely and nice. I really like how fashionable and stylish it is. I would love to win this for the baby in my belly!!!! I love that Diono pays attention to safety and comfort. My son would love love love this! This would be amazing for my son. He would enjoy it. I love that it’s Versatile! I just found out one of my best friends is expecting her first baby in February, after waiting a very long time for her turn that she thought may never come – I’m so happy for her, and know she would love this stylish, practical stroller for her bub! I like that it has all- terrain wheels and can go anywhere. The swivel wheels look great for turning corners! This is a little thing, but I like that it’s gray. It’s not blue with duckies, or bright coloured. Fashionable and sleek. My cousin would like it. I really like that it has a lush, super soft bassinet for baby. I love the lie-flat carriage, which is great for when our little one is very young. I like that it can convert to a bassinet stroller for little babies. I like that it is resilient and robust and will last a long time. The canopy is a really great size – big enough to provide excellent sun protection, while still giving good visibility. This would be a nice ride for my little grandson ! Lovely that this stroller is easy to fold! Not all of them are, that’s for sure. I’m sure my godchild would put it to good use. My friend is expecting in February! I like the versatility of the stroller,it’s perfect. I would be really excited about the style and versatility for baby on the way! This looks like a very sturdy stroller that will last through more than one child. would so love to use this stroller with my son who was born two weeks ago! This would make an amazing gift for my sister-in-law who is expecting. I like that you can shorten it. I like that it can be a bassinet for a little baby. Gotta love the big canopy that protects baby from the elements! So handy. Thanks for the chance to win this amazing diono Quantum Classic,good luck to all who enter! My co-worker could really use this stroller – she just found she is having her 3rd baby, and with her older kids being 16 and 11 she has to start from scratch getting all new gear! She’d love this stroller for sure! It’s so great when a stroller can be useful from birth until toddler years. 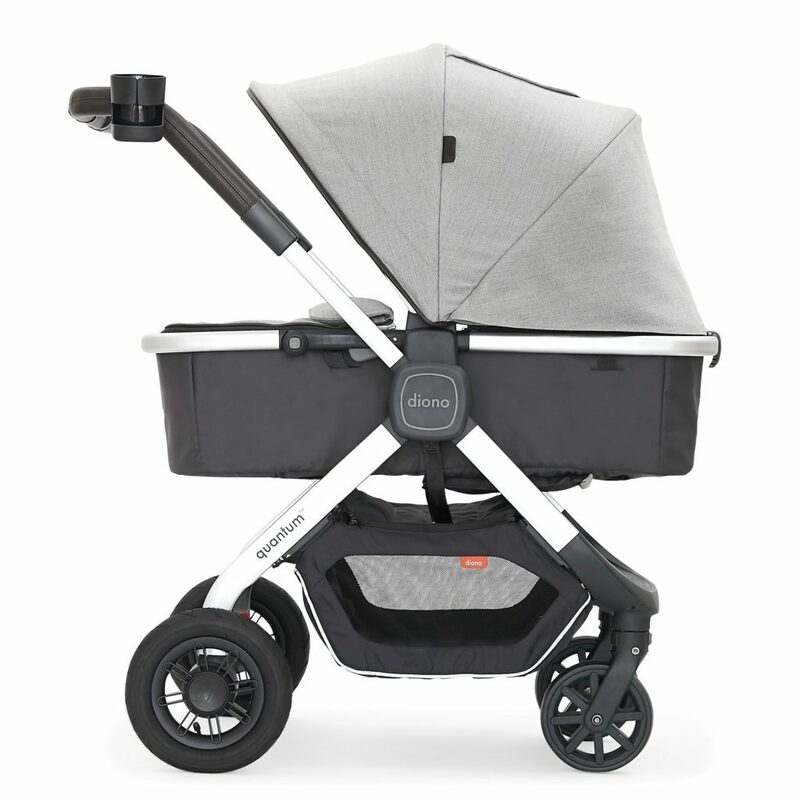 The Quantum Classic is truly the platinum of strollers! Im very excited about the smooth ride too! !